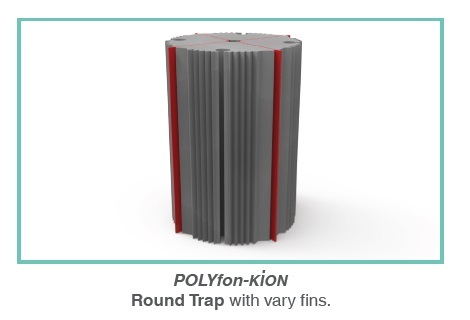 POLYFON-KiON is an innovative acoustic Round Trap cylinder type panel that offers high Sound Absorption characteristics in a broad band frequency range. 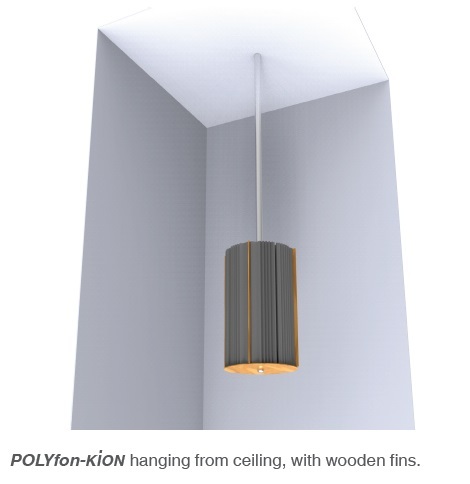 POLYFON-KiON is produced by polyurethane flexible foam, with a sculpted design, that effectively absorbs the sound energy and reduces the reverberation time. It consists of 4 quadrants (of 90 degrees angle). 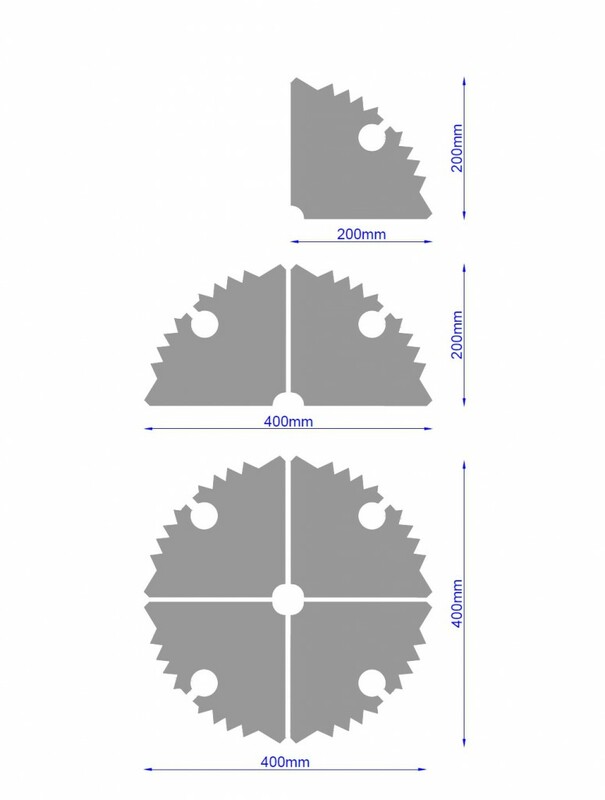 They may be delivered either 4 quadrants bonded together or on their own, as independent parts. 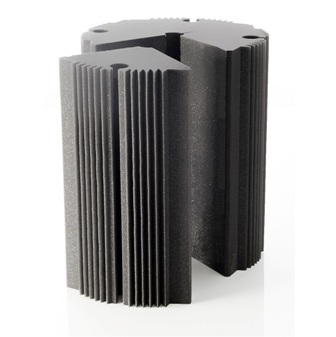 The addition of cavities (like Helmholtz resonators) offers additional sound absorption. The acoustic energy is dissipated as heat in the foam cells. 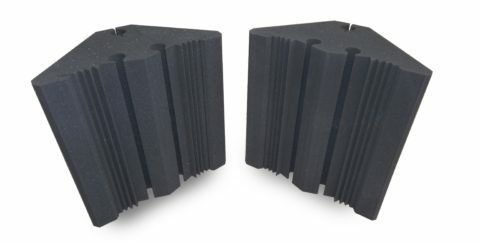 The triangular-shaped quarters of the round trap, are a cost effective solution for a reliable bass trap sound absorption. 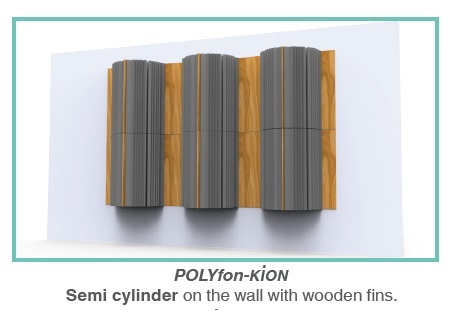 The foam acoustic panels POLYFON-KiON can be installed in the room corners and/or wall or ceiling junction, to provide low frequency sound absorption. 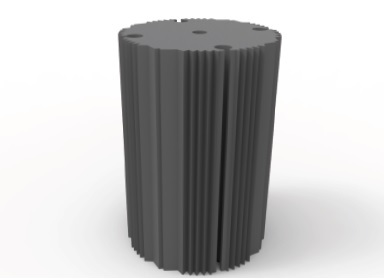 The semi cylindrical shaped traps can be installed at the lateral walls, with a gap in between. 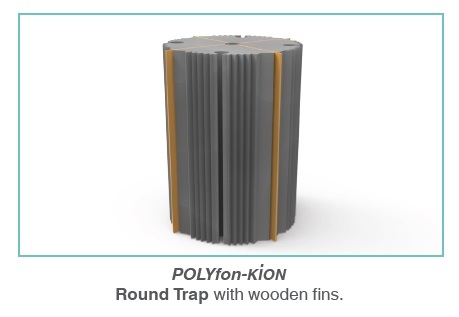 Foam acoustic panels POLYFON-KiON are Round Bass Traps in cylindrical shape, that can be suspended from the ceiling, or stand on the floor, like an ancient pillar. 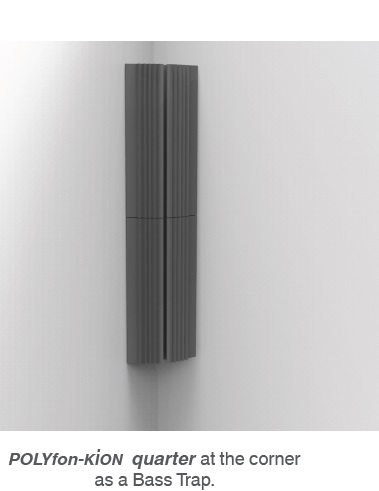 The suspension from the ceiling can be done, using an appropriate tube adapted to the suitable hole, at the center of the cylinder column. Between the quartrs, fins may be added for better aesthetic presentation. 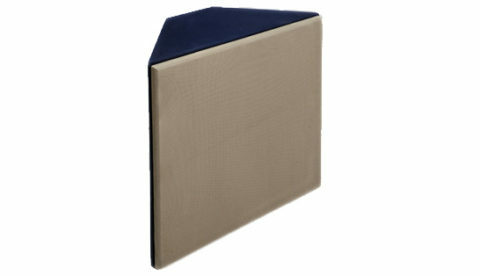 These fins / flaps can be made either of wooden elements, or acrylic sheets in different colors. 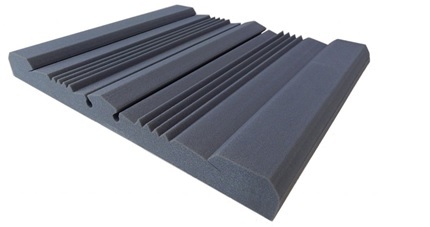 Foam acoustic panels POLYFON-KiON can be used, in order to improve the reverberation time, to reduce flutter echo and standing waves, to prevent the room modes and to increase the voice clarity. It is especially useful, to trap the bass audible frequencies, which are more intense at the intersection of flat surfaces.